After the launch of the 2017 Vital SignsTM of Greater Montréal’s Children report, the Foundation of Greater Montréal held a discussion on the importance of listening to children. We must hear their voice and further involve them in finding sustainable solutions for our cities. 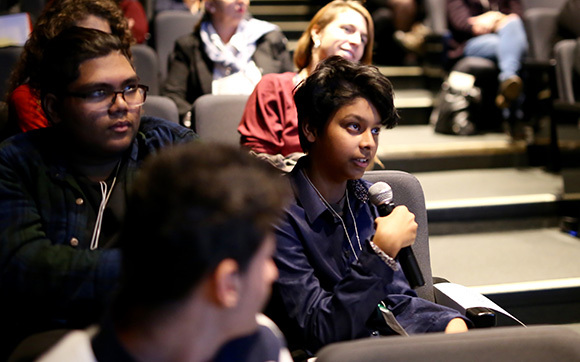 On November 20, in honour of Universal Children’s Day, the forum brought together researchers, politicians and organizations working with young people and children. 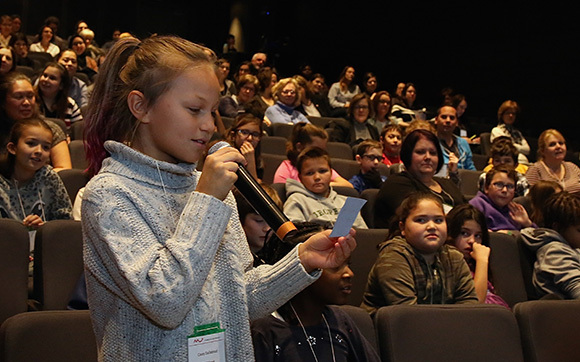 More than 50 children from the Greater Montréal area came up on stage to talk about the issues they consider important: belonging, education, mobility and mental health. They shared their visions, aspirations and dreams for their city. After a speech by the Honourable Landon Pearson on youth vitality, young people and adults gathered into groups to discuss the four issues and come up with solutions together. 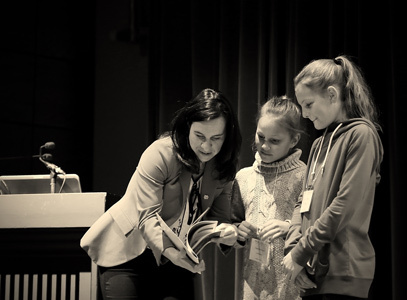 On this occasion, two new publications were presented to Montréal Mayor Valérie Plante. These were Montréal as Desired by Children, a compilation of comments by young people aged 5–17, gathered during the Grande Tournée of the boroughs during Montréal’s 375th anniversary events, and Living in Montréal in the 21st Century: Perspectives from Young Montrealers, a presentation of the main challenges young people in Greater Montréal face, as laid out in FGM’s most recent Vital SignsTM report. The mayor also spoke at the event. The forum was both an opportunity to hear children’s opinions and a call to action. These spaces for speaking up are needed. Children join in discussion with contagious energy, saying what they think without reserve. It’s up to the adults to answer them.